Benjamin Low is the Vice President, Milestone Systems, APAC. Benjamin Low is the Vice President, Milestone Systems, APAC. He focuses on working with the Asia Pacific Milestone sales personnel and partner ecosystem of distributors, installers, solution partners and camera manufacturers. Low has an extensive experience and a strong track record in cyber security and IT sales, and a background in international sales with high-profile security systems technology companies. In just a few decades, the video surveillance industry has weathered substantial core technology and business moves. From the growing pains in traditional analog and closed circuit cameras, to today’s digital and network-based technology, change has been a constant, and will only continue to accelerate. The use of VMS continued on its strong growth trajectory in 2016, with IHS forecasting an increase of 7% in the world market for video surveillance equipment. Today’s new digital networked video systems (operating over a computer network using Internet Protocol or IP) now offer powerful maintenance management benefits, while improving enabling future expansion and additional flexibility. Cyber security has become critical to everyday life, turning it into a major market segment. As more and more high profile cases are unveiled, concerns of the ability to secure networks and data are intensified. As a result, consumers are increasingly worried about protecting their critical data infrastructure, leading to a shift in the balance of spending – from the physical realm to cyber security initiatives to protect organizations’ data. In 2017, this trend will only heat up as corporations rush to protect their data privacy and avoid unauthorized data breaches. Especially as IoT gains traction and more devices get used in both the public and domestic domains, cyber security will become increasingly important as these unsecured devices leave potential gaps for criminals to extract sensitive data. In the wake of rising security threats in the past year, public safety has risen to the top of the agenda. With the technological advances seen in video surveillance with video analytics, as well as in public safety command and control centers with enhanced integration between sub-systems, video will allow cities to improve their response times to incidents of all kinds, and serve as a tool to help citizens. 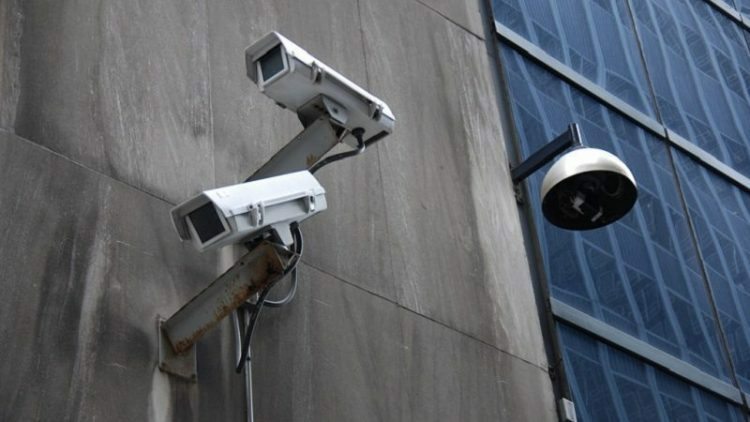 We have also seen and expect that the increased acceptance of surveillance among the general public view will continue, as they view it less as a governmental control measure, and more as a safety instrument. In a similar vein, mobile surveillance will also see strong growth in 2017. From regular wearables such as body-worn cameras to drones, mobile surveillance has the potential for growth in many commercial markets, such as repossession officers, club bouncers, electricians and plumbers. In Asia, many cities are already embracing the concept of the smart city, where advanced technology is integrated with city administration to boost efficiency, thus driving video usage upwards. Yinchuan city in China is a stellar example of one of the most advanced smart cities in Asia, with everything from buses to dustbins integrated into a unified system. As Singapore moves towards its goal of becoming a Smart Nation, video surveillance and analytics can be integrated into our smart city to provide a more holistic solution. The rise of IoT has opened a potential avenue of application for VMS and video technology. In Asia Pacific, the number of devices used is expected to grow from 3.1 billion to 8.6 billion by 2020, creating a US$583 billion market opportunity. This presents the exciting opportunity to apply VMS beyond security. Video can be integrated with IoT systems to, for example, provide information for corporate or operational needs. In addition, video analytics such as heat mapping and people-counting can enable more organizations to gather business intelligence, which further strengthens the effectiveness, value proposition and profitability of video surveillance. The CCTV and Surveillance market saw a strong trend of consolidation in 2016, and shows no sign of slowing down. Driven by multiple mergers and acquisitions, as well as bigger market players eliminating smaller companies, market share of the top 15 market players has increased by 11% from 2011 to 2015, and is further expected to become significantly higher by 2020. As a result, these current market conditions have made it very difficult for smaller players to withstand the price pressures and grow their revenue, while larger companies have gained significantly better market positions. Thus, it is clear that the manufacturers still standing at the end will be huge winners, with a much less fragmented market. Solutions integration saw large strides in 2016, which allowed VMS businesses to create more conducive ecosystems for the deployment of the best and most fitting video technologies to each individual consumer. This is all thanks to the development of the ONVIF standard in 2016, which is designed to make life easier for people who use different products, resulting in greater freedom of choice for end users. This is particularly important with the growth of the smart city and surveillance. Without integration, end users could be “locked in” using solutions from a single manufacturer, or adopt a “build once and maintain forever” approach. Integration thus allows end users to choose from the wide variety of available hardware and software to ensure that their needs are best met, while ensuring network design compatibility.